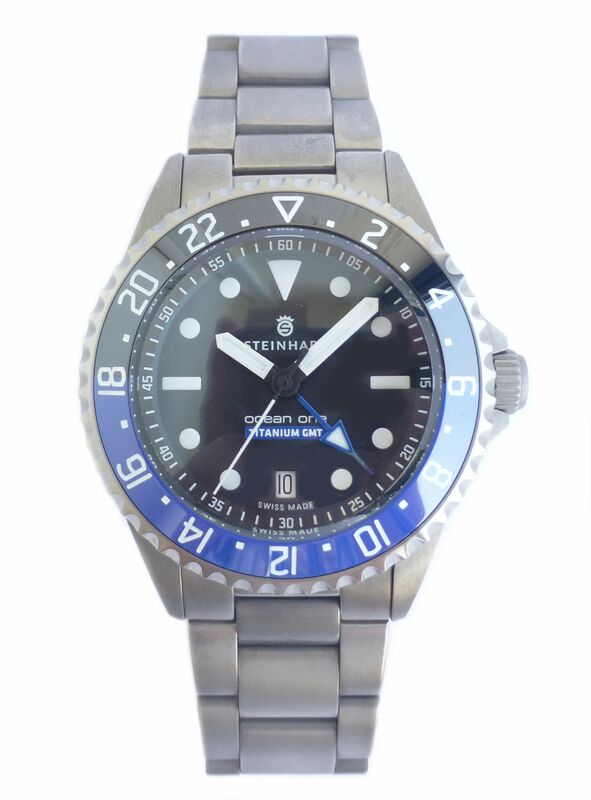 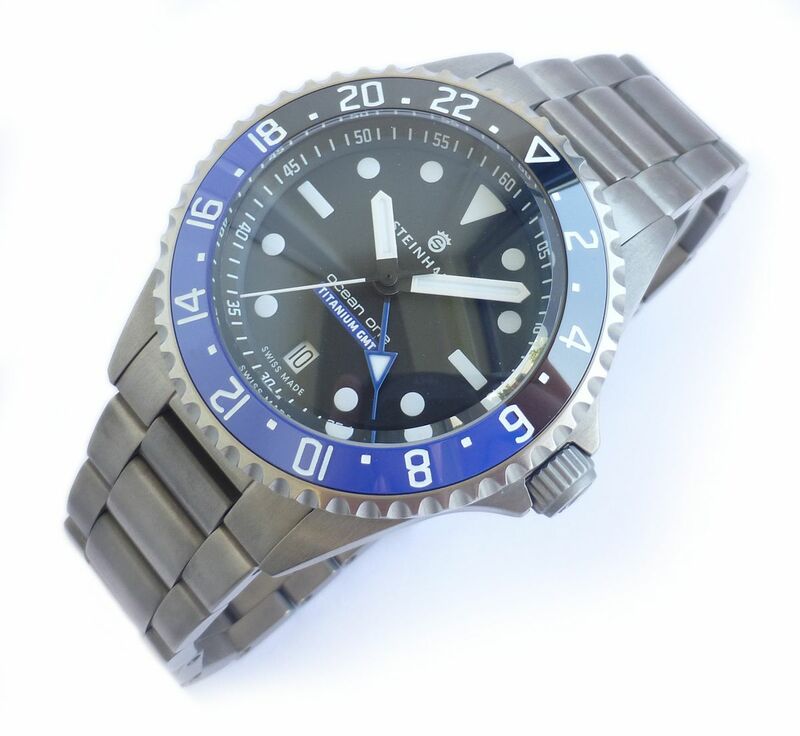 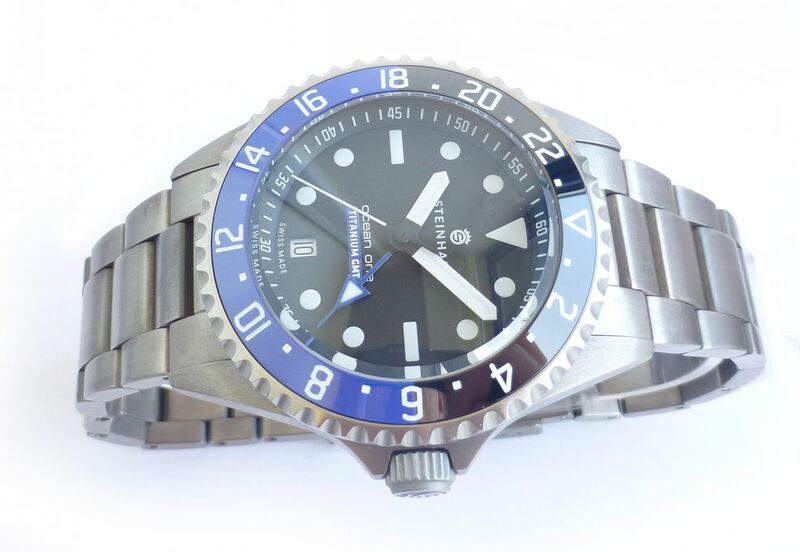 The STEINHART Ocean Titanium 500 GMT Premium is our contemporary interpretation of a divers watch classic par excellence and comes up with many remarkable details, such as the extremely robust and at the same time very light case made of satined titanium. 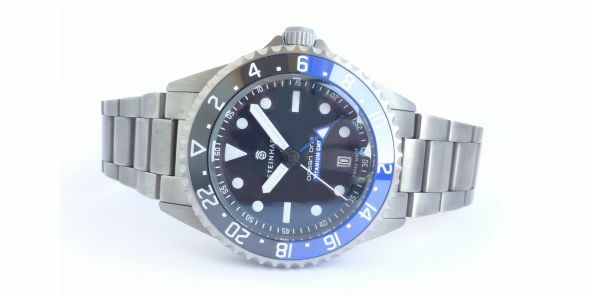 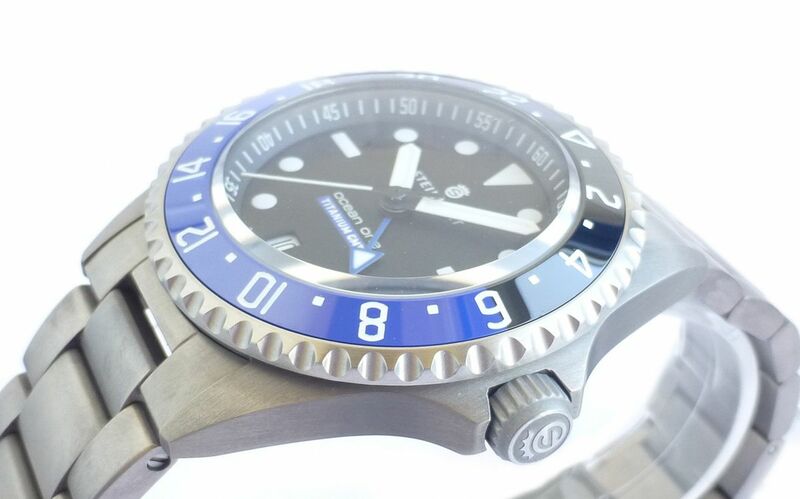 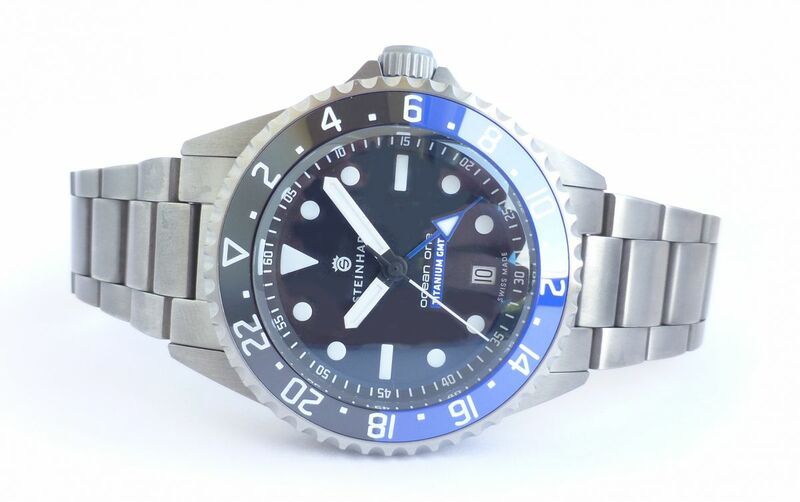 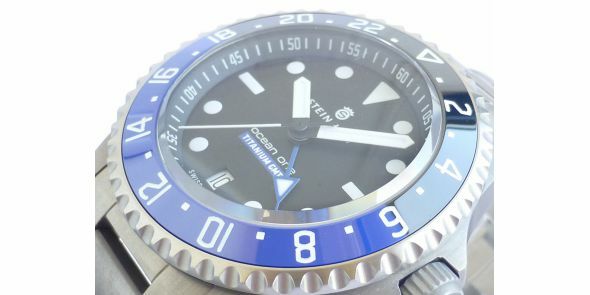 Additionally, it has a from the inside double anti-reflective domed sapphire crystal, which is framed by the unidirectional rotating diving bezel with its glossy black and blue ceramic inlay whose engraved markings were generously equipped with luminous material. 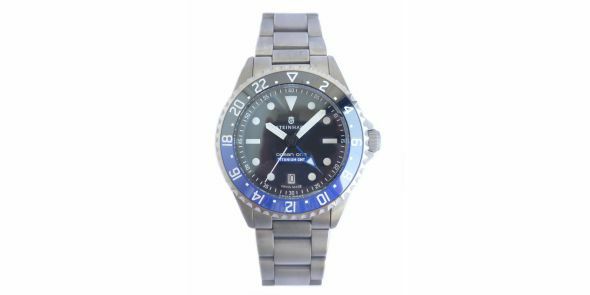 This also applies to the pointer and the dial, whose light blue accents emphasize discretely the character of this modern sports watch. 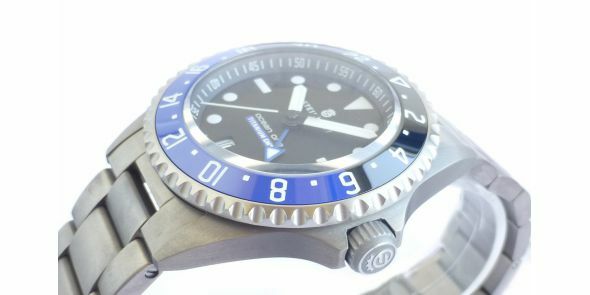 Inside the Steinhart OCEAN Titanium 500 GMT Premium the movement 2893-2 premium of the Swiss company ETA performs its extremely precise service. 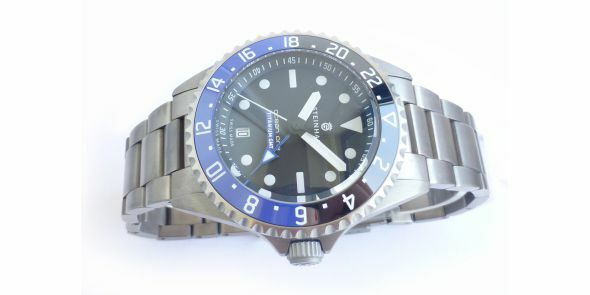 The beautifully decorated movement is visible through a sapphire - crystal bottom. 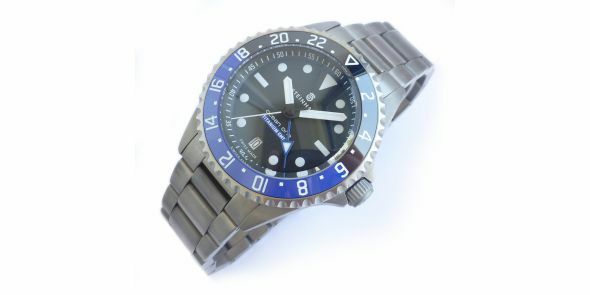 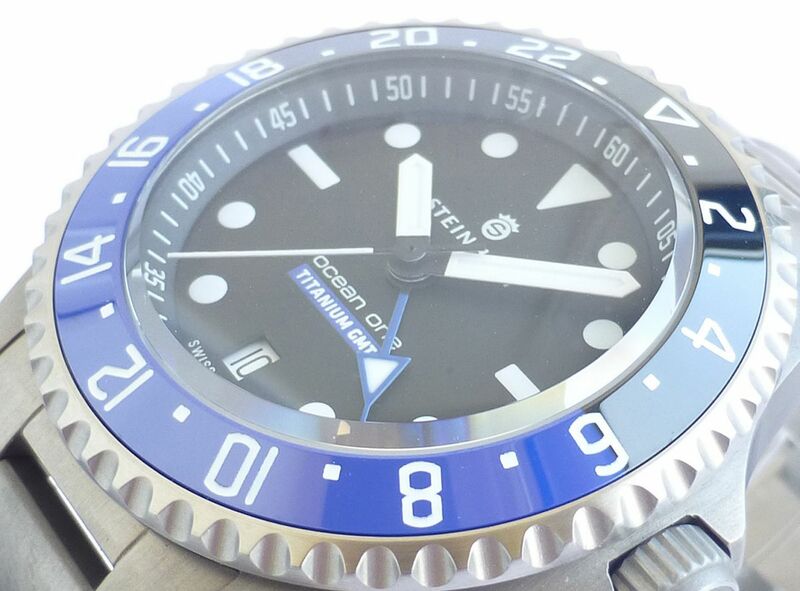 Whether on a titanium-, rubber-, synthetic- or leather band, the STEINHART Ocean Titanium 500 GMT Premium always leaves a cool impression, a must for every watch fan.